As a parent plaintiff in the lawsuit, Lopez v. Schwartz, I was relieved and elated when the Nevada Supreme Court decided in September that the state voucher program’s funding mechanism was unconstitutional and the program could not be implemented. But imagine my surprise when I learned that state Treasurer Dan Schwartz had reopened the application process and told my fellow Nevada residents to keep signing up for a program that the court blocked. I struggle to understand how anyone can argue that proceeding this way isn’t blatant deception. 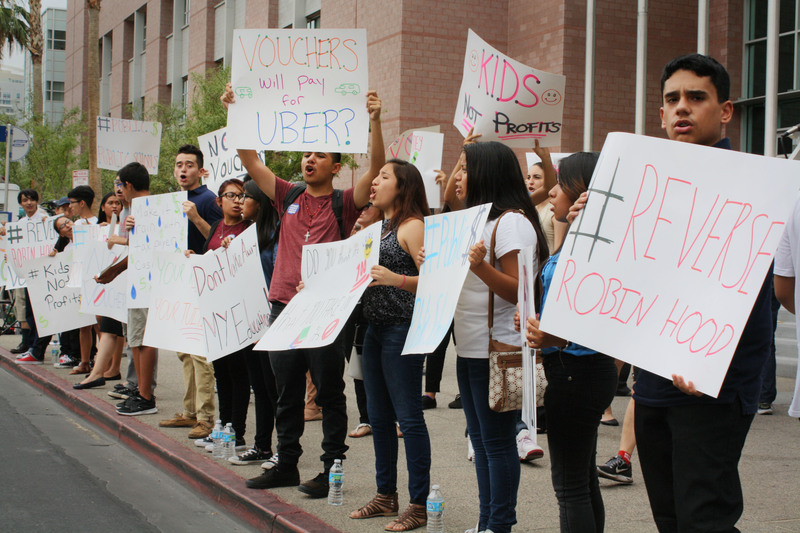 Many Nevada taxpayers still have legitimate concerns about cost — the projected cost of the program if implemented, the exorbitantly high bill the state ran up defending the program, and the significant sums of taxpayer money Mr. Schwartz continues to spend to promote “education savings account” vouchers. How will he repay Nevadans for these wasted expenditures? Plainly stated, Nevada can’t afford vouchers for private and religious education when we’re facing a $300 million budget deficit and our chronically underfunded public schools are desperately in need of more resources. Concerned parents like me vote. We are watching with the expectation we will see our legislators focus their attention on doing everything in their power to address the real issues affecting student achievement. Let’s stop wasting time on an unconstitutional privatization scheme that will not improve educational outcomes for the majority of students. Instead, let’s center our efforts where they will do the most good. Let’s get serious about supporting our public schools and improving education for all Nevada students.